The Obama administration announcement, decried by Alaska’s congressional delegation, came in conjunction with one from the Canadian government that it would bar future oil and gas licensing for all its offshore Arctic waters. The Canadian decision will be reviewed every five years. There will be no such built-in review of the Obama decision, however, and officials said the incoming Trump administration won’t be able to easily undo it. 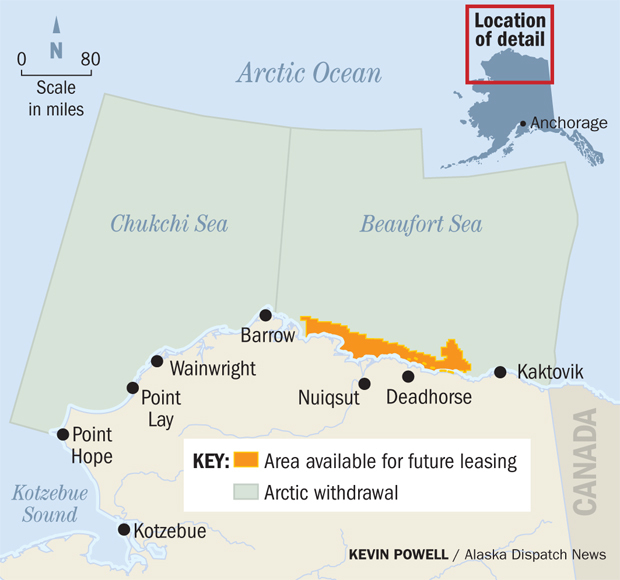 Obama used the authority granted to the president by the 1953 Outer Continental Shelf Land Act, to “withdraw” all of the Chukchi Sea and the majority of the Beaufort Sea from future oil and gas leasing. Alaska’s Republican Congressman Don Young used livid language in his response. “I’ve been adamant with this administration; Alaska is not and should not be used as the poster child for a pandering environmental agenda,” Young said. “The only thing more shocking than this reckless, shortsighted, last-minute gift to the extreme environmental agenda is that President Obama had the nerve to claim he is doing Alaska a favor,” Murkowski said. 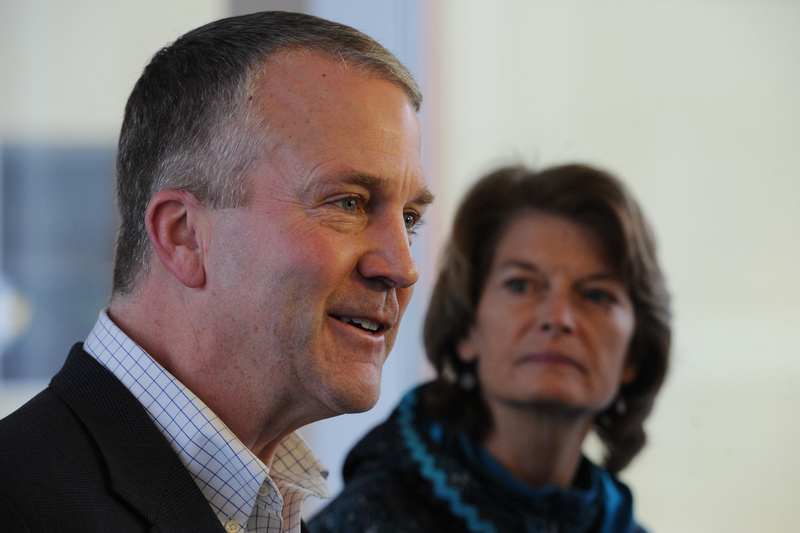 “Make no mistake — the president betrayed Alaskans today — especially those living in the Arctic — who were not consulted, and instead gave one final Christmas gift to coastal environmental elites,” said Sen. Dan Sullivan, the third Republican in the delegation. Whether Tuesday’s decision can be easily undone by the incoming administration is a point of contention. White House officials said it’s unlikely. Opponents said the wheels are already in motion to undo it. Currently, the point is moot — there’s not much going on in the Arctic. “In 2015, just 0.1 percent of U.S. federal offshore crude production came from the Arctic and Department of Interior analysis shows that, at current oil prices, significant production in the Arctic will not occur,” Obama said in a statement Tuesday. He noted it would take decades to have sufficient infrastructure to drill in the Arctic anyway. The administration noted there are many endangered and protected species in the area, including bowhead and fin whales, Pacific walrus, polar bear and others. 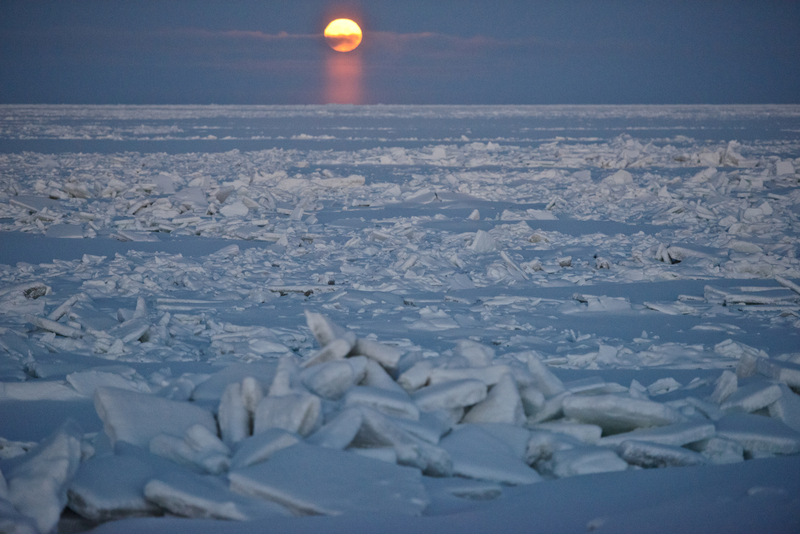 While Arctic lands are “sparsely populated,” the “Alaska Native communities of the North Slope depend largely on the natural environment, especially the marine environment, for food and materials,” the Interior Department said. Obama is using executive authority that allows him to “withdraw” sections of offshore waters from oil and gas leasing, exploration and development, for a specific period or indefinitely. Incoming President-elect Donald Trump has vowed to undo much of Obama’s regulatory agenda and pursue increased U.S. oil and gas production. But it’s unclear whether and how he could undo this one, and even if he did, whether oil and gas production would soon change. Murkowski said she’s up for the challenge. “I cannot wait to work with the next administration to reverse this decision,” she said in a statement Tuesday. But while there’s no official route for the Trump White House to undo Obama’s decision, Congress could pass legislation to change course, or give the president the right to do so. Republicans in the Senate will face a steep uphill climb though, since they must get to 60 votes to overcome a filibuster and only have a 52-person majority. There are other legislative options to squeeze such efforts into larger legislation, but Alaska’s delegation will face a long list of competing priorities. In 2008, they said, President George W. Bush “used a simple memorandum to remove previous … withdrawal areas and open all OCS lands to leasing except marine sanctuaries. President Trump, once in office, can similarly rescind any areas withdrawn by President Obama with a simple memorandum,” they argued. The administration did leave the door open to nearshore oil and gas drilling in the Beaufort, which officials said has a higher potential for oil and gas drilling and is “adjacent to existing state oil and gas activity and infrastructure,” according to a fact sheet released by the White House. Existing leases, which amount to about 205,000 acres within the 128 million acres withdrawn Tuesday, won’t be affected by the new action. “President Obama’s puzzling actions fly in the face of what his own Energy Information Administration and international data analysts confirmed: the demand for oil and natural gas will continue to grow until 2040, if not beyond,” said Dan Naatz, vice president with the Independent Petroleum Association of America. But Walker wasn’t happy with the announcement. “This unprecedented move marginalizes the voices of those who call the Arctic home and have asked for responsible resource development to lower the cost of energy to heat houses and businesses,” Walker said in a statement Tuesday. “No one is more invested than Alaskans to ensure that the habitats within the Arctic are protected. To lock it up against any further exploration or development activity is akin to saying that the voices of activists who live in Lower 48 cities have a greater stake than those to whom the Arctic is our front yard and our backyard,” Walker said. Walker spoke to Interior Secretary Sally Jewell Tuesday morning, and said she “acknowledged that she and her team at the (Interior Department) took into consideration the requests that state Department of Natural Resources Commissioner Andy Mack and I made during multiple meetings with her in Washington, D.C., and in Fairbanks.” That included highlighting “the areas of the Arctic most likely to provide revenue to the state,” he said. While those conversations were reflected in the administration’s decision to keep nearshore waters out of the withdrawal, Walker said that wasn’t much of a win, since those waters were already excluded from the most recent five-year lease plan. Senior White House officials also said they have been in touch with Slope communities for “months” in the lead-up to the decision Tuesday, especially with an interest in learning about Native groups’ subsistence needs. Jamie Rappaport Clark, CEO of Defenders of Wildlife, called it a “visionary act by President Obama. “And it marks the important recognition that we cannot achieve the nation’s climate-change goals if we continue to expand oil and gas development into new, pristine environments like the Arctic and Atlantic Oceans,” Clark said. The Obama administration and Canada, under Prime Minister Justin Trudeau, also announced efforts Tuesday to encourage “low impact” shipping in Arctic waters, which are increasingly considered an option for new shipping routes due to longer summers without ice.